We do like to celebrate midwife entrepreneurs. 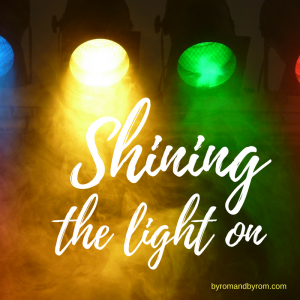 When Emma Cook got in touch to say she’d written a book, a guide for parents, we jumped at the chance to read it – and to ‘Shine the Light on’ Emma! 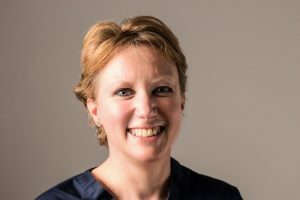 Emma qualified as a midwife in 1999, and has worked the majority of her career in the community, being privileged, she says, to attend many home births. In 2014, Emma won a national award for her ability to mentor student midwives (Congratulations Emma!) She has a thirteen-year-old son who features heavily in her book…. This book is a 100% practical, 100% honest guide to the entire process of pregnancy and being a new parent. 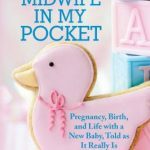 Based on my own experiences of motherhood, as well as my 15+ years as a midwife, the guide will help any parent prepare for the most amazing journey of their life. 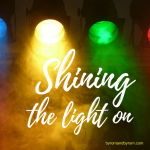 ‘After having a child of my own and meeting thousands of parents as a professional midwife, I was well aware that pregnancy and parenthood is fraught with many confusing questions, unknowns and anxieties. 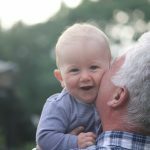 However I have learnt that information is power; and I try to offer reassuring words, allowing parents to settle back into their role and thrive with their new baby. I’ve been wanting to write a book for many years, particularly after giving birth to my own son and experiencing the struggles first-hand. My midwifery work is so rewarding, and I’m incredibly proud to now be sharing what I’ve learned with others. ‘Written with true warmth and dignity and there really is nothing else on the market quite like my book’. 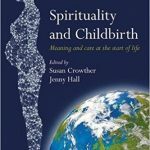 ‘This is a comprehensive and truly down-to-earth guide that walks parents through the entire process of pregnancy, birth and infant care’. Every day I meet anxious mothers whose babies are not breastfeeding properly, and they become riddled with worry. After explaining that what’s happening is completely normal, the resulting relief is immense. I would like pregnant and new mothers (and fathers/partners) to use this book as their ‘best friend’, to read it, dip in and out of it, but most of all use it to guide them on their incredible journey. Thank you Emma, for sharing a little about your fabulous book with us…we are delighted that it is so popular, and obviously a success! We love your book. We especially like the fact that the information is to the point, not prescriptive, and very insightful. The ‘did you know’ facts and ‘top-tips’ are so useful, easy to digest and clear. It’s no wonder there’s been so many rave reviews. There are many excellent books and mobile apps (and some not so good!) for mothers, fathers and parents on the market right now, and this books is up there with the best. Congratulations Em, on using your knowledge and personal experience to help others, keep on going! Your work is greatly appreciated. 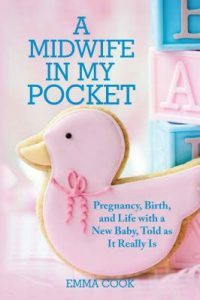 The book can be purchased here, and Emma can be reached via Twitter @Emthemidwife and on A Midwife in My Pocket on Facebook!